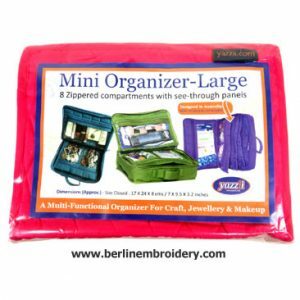 The Large Yazzii Craft Organizer is my favourite case to store my needlework supplies. 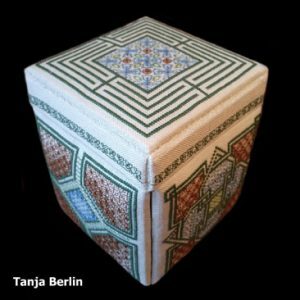 I use this case at home and whenever I go traveling to teach or on holiday as it holds a lot of supplies but is soft and stuff-able for the suitcase. 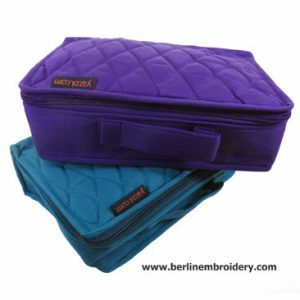 The case has 8 zippered compartments with durable see through panels. 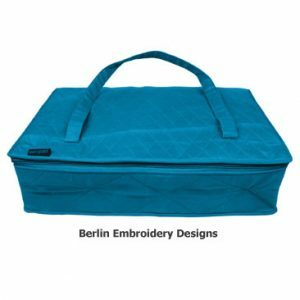 The Yazzii Carry All organizer is a really useful organizer to take to classes or stitch meetings. 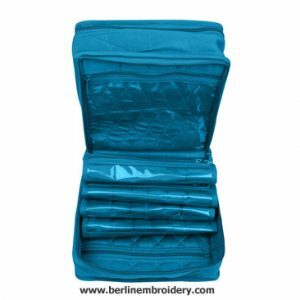 There are 20 see-through zippered pockets of various sizes to hold all your stitching needs. 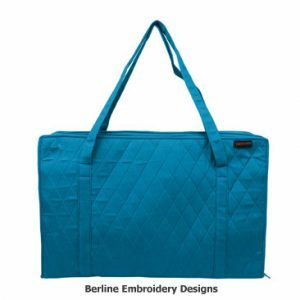 This bag has enough depth to provide additional space for the project you are working on and is strong and well constructed. This Yazzii Double Deluxe organizer is conveniently divided into 2 sections. The upper section has 2 see-through pockets and a large storage area for larger items such as scissors, fabrics, patterns and books. 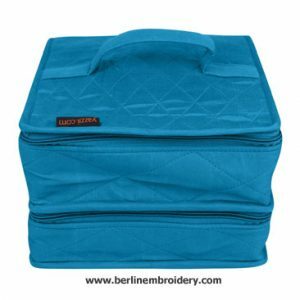 The lower section has 8 pockets (6 are see-through) to store all your stitching supplies. A great organizer to use at home or to take to classes and meetings, it is strong and well constructed.